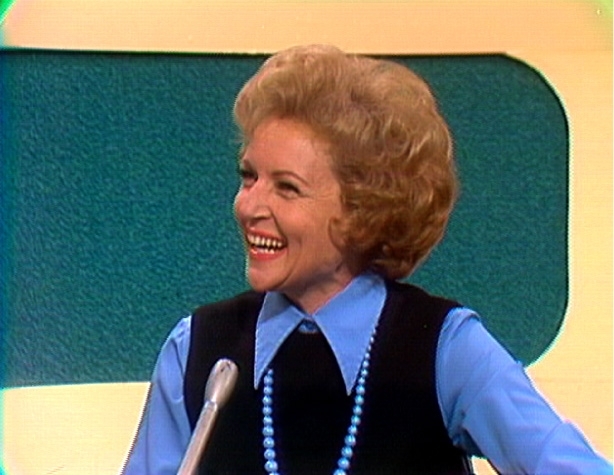 GSN Honors Betty White with MATCH GAME Marathon! Game Show Network (GSN) is making a special tribute to actress and comedian Betty White this Saturday, May 8th in celebration of the 88-year olds first-time hosting gig on Saturday Night Live being televised on NBC that night. The network is running an all-day marathon of the vintage game show, “Match Game” with 14 episodes featuring White’s appearances on the show from years 1974 to 1977. The “Best of Betty White” marathon will run from 9:00 AM to 4:00 pm (ET). Scheduled episodes in the marathon include classic Betty White moments with host of the show, Gene Rayburn and celebrity panelists including Richard Dawson, Eva Gabor, and Brett Somers. Contestants must fill-in the blanks and match answers with special guest stars. The most successful player at getting the most matches, advances to the “Audience Match” where three celebrities are asked to match responses. During White’s episodes, she is asked “bawdy” questions involving her game show host husband, Allen Ludden of “Password”. After the marathon, be sure to watch the six-time Emmy winning actress host SNL on NBC. A spot garnered through an internet campaign after White’s much popular Super Bowl “Snickers” commercial where she portrayed a hungry football player.